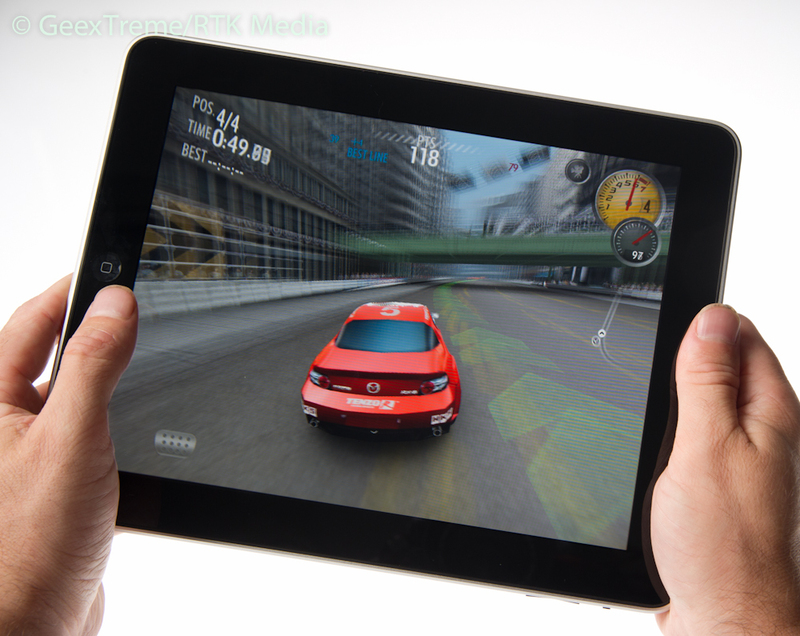 Apple’s iPad is hailed as a new device, bringing the iPhone’s success to the tablet market. You couldn’t be more wrong; iPad is a device which has somehow escaped or evolved to become part of Steve Jobs’ world vision – a true follow up to John Sculley’s “Knowledge Navigator” in a way that Newton could never be, but always promised. Sharing the same relationship to the Macintosh that Newton did within the context of available technology the iPad clearly demonstrates that just as consumer tastes and desires have become more sophisticated, so has Apple’s design process. So where will iPad go next? Apple’s Newton system – a little orphan PDA in many ways when PDAs were still unworried by smartphones or massive sales figures – was partially the brainchild of John Sculley. Far from selling sugared water to the masses, Sculley wanted to be a visionary and to an extent did foresee a connected, information rich future. It’s hard to give him credit for what became little more than some irritating desk accessories and a short film; what he envisaged was also the stuff of science fiction writer’s stock filler material for a good decade after the microchip first appeared, but what he produced had some merit and he is credited with inventing the term “Personal Digital Assistant” or PDA. That term in itself is falling into disuse as smartphones take over, and it’s worth noting that Apple branded the Apple II as “The Personal Computer” before IBM had adopted the term. Apple’s usage was in marketing, rather than branding, but it does reflect the continued ethos of the firm. Newton successfully brought two concepts into play which remain part of the iPad (and to an extent, the wider Mac experience) ethos. Soup, and input. It’s hard to correlate the crude, low-resolution display of that first Messagepad with the glossy, rich-coloured display of the iPad just as it’s hard to imagine now that you could specify your entry level Macintosh at the time with a monochrome screen to save some money – yet that single point of interface (Newton, from a UI perspective, had NO buttons) was intended to perform all of the organisational tasks that Newton was supposed to offer. And offer them it did – early applications allowed site surveys, quick sketched notes, transformable bitmaps coexisting with editable text content. Newton’s “soup” of information allowed massive flexibility, if not easy transportability. That soup also distanced the user from the filesystem and operating system; in an era where people were still adapting (in the workplace) to ever deeper filing systems and Windows users were still tied by 8.3 filenames. Like the iPad now, the Newton made sense if you had an application for the device. Like the iPad, it was also purchased by people who just wanted the latest thing, and that put users off the concept when they found that – curiously enough – it’s about as useful as a pen and pad when you don’t know what to draw or write. 16 years of technological advancement has seen users become far more accustomed to technology and the limitations, as well as opportunities it offers, and the designers and developers have also realised that if you give the users enough that is entertaining, productivity can come second. Newton went through two real progressions, with a third progression left almost unfinished. We have the MP100-130 models, which were all based on a slower ARM processor, and then we have the StrongARM based 2000 series where the Newton became a very impressive – albeit expensive – handheld computer. 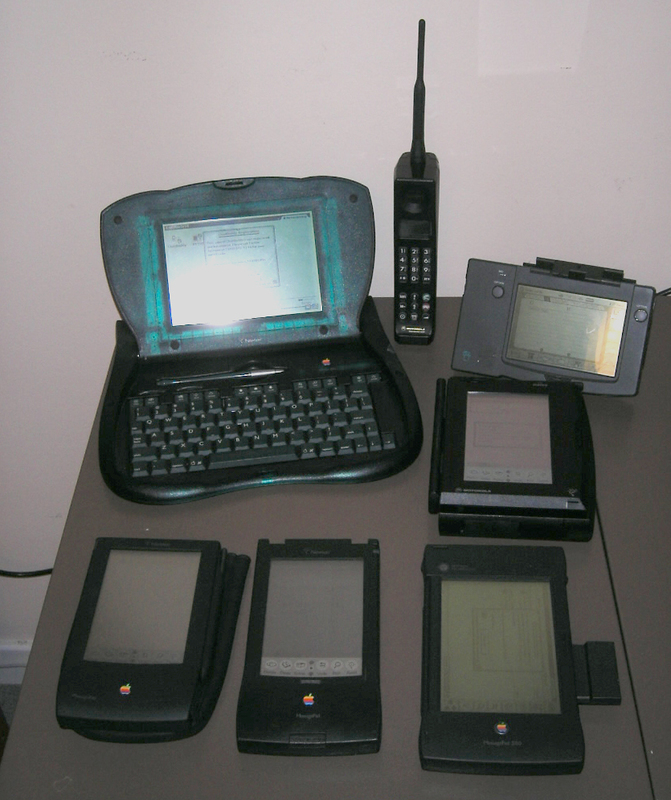 The joker in the pack is the eMate; a deeply prescient system that laid the roots for Apple’s design renaissance whilst pre-empting the netbook’s popularity and – sadly – existing in an unfortunately undeveloped state with a mere 25MHz CPU and without a RAM expansion, 16-bit bus width. 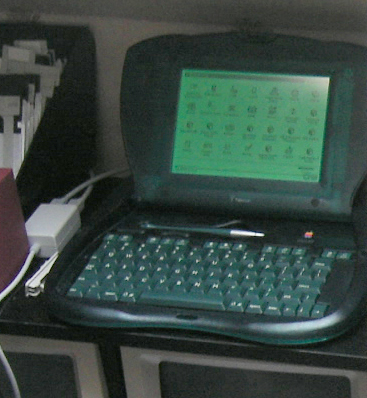 Had the eMate been given the same architecture as the Newton 2100 it may well have brought considerably more success to Apple’s Newton division whilst genuinely predating the usable “school” computer concept typified by the OLPC project and subsequent netbook devices. A poor shot of my old eMate, normally used as a notepad or terminal. The interesting thing about this parallel is that we’re seeing a similar evolutionary path with the iPad. It’s gone from a concept device, to the iPhone and iPod Touch (the iPod Touch being clearly and directly comparable to that first MP100, albeit with a more 21st Century media bias – it’s the best PDA a Macintosh user can buy) and now the released iPad; which makes me wonder if there’s still room in the lineup for Apple to resurrect the “iBook” name. It’s hard to believe that it could ever be a cheap netbook competitor, but with Apple’s Macbook range starting at £849 there’s a lot of room below it for a fast, efficient notebook system. It wouldn’t need to be any more complex than a current iPad with a keyboard, though it would be more logical to evolve the system a little. Adopting the width of the standard keyboard would give room for stereo speakers either side of the display, whilst that slight increase in surface area would give a little more space for battery. Adding a camera at this stage would make sense. iPad WiFi 16GB – £429, iBook 16GB £479, iPad WiFi + 3G £529, iBook 16GB 3G £579. Which then leaves the Macbook at £849, then the Air and Pro models. Given the Air’s low-power design, it could potentially be brought down in size and cost slightly to replace the Macbook model, leaving that line either to be phased out or marketed for education only. In terms of usability, with the updates inevitable from the iPhone 4 such as 512MB RAM (maybe an iBook of this type could carry 1GB RAM allowing more flexible multitasking) and potentially higher resolution displays (though at 1024 x 768 the existing iPad display is comfortable and usable) an iPad-derived iBook could deliver the netbook experience that everyone hoped for with the original Eee-class machines albeit at a higher price point. Compact, lightweight and with exceptional battery life with dedicated application development – everything we hoped for with the first Linux netbooks but only got at best two of the requirements met. One of the important things about iOS devices – particularly the iPod Touch, a device so popular and yet so often overlooked by the mass media in favour of the iconic iPhone and now iPad devices – is that they’ve accomplished something Palm, Nokia (to a lesser extent) and Sony failed to do as well as Apple. 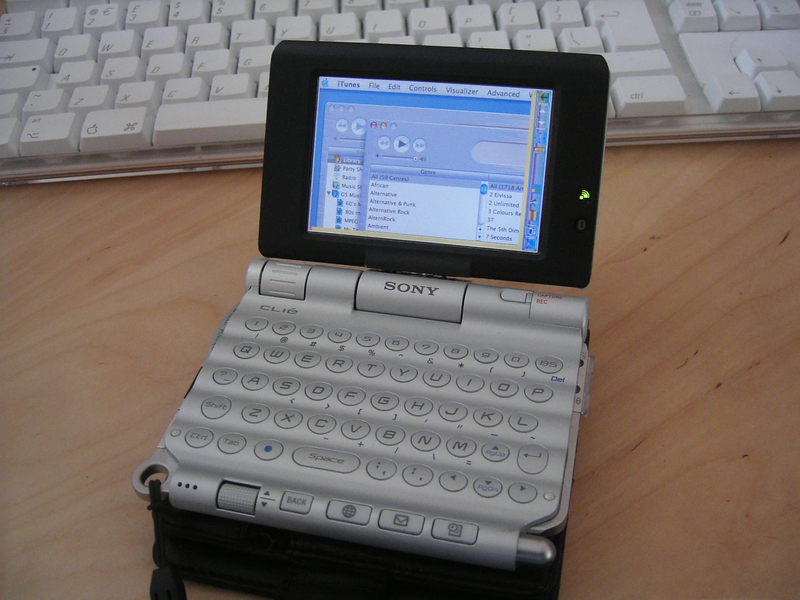 The PDA remained a device that you had to sell a bit like the first home computers; no-one really knew what to do with it. The iPod, however – people knew what that was for. Lots of PDAs and smartphones play music & video and have great games as I discovered with my last true PDA, the HP iPaq HX4700. There’s nothing inherently new about a 3.5-5″ device that can carry your media and play a video. The issue was one of marketing; the PDAs were always sold on their organisational strengths, just like an Apple II was sold because it ran VisiCalc. Nevermind that the bulk of owners ran home and started playing Gemstone Warrior on it – it was sold on the utility value (the Apple /// was criminally allowed to carry exceptionally good 16-colour graphics under a bushel; most shipped with greenscreen displays!). Very few people buy an iPod touch because it’s an amazing PDA. The contacts and calendar synchronisation between it and the target machines is exceptional, the consistent UI makes making full use of it is easy, and you really have to try hard to mess up your database consistency. 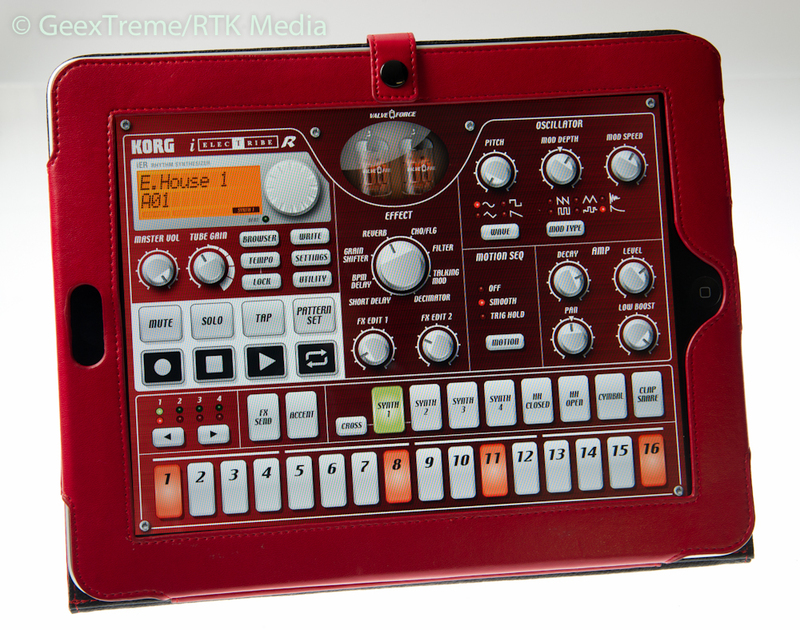 It’s got excellent notes and third-party app support. It’s the PDA to end all PDAs (well, the iPhone is really because wow, you can like, call your contact RIGHT THERE from your PDA!) in a way that smartphones (a much older genre than people want to admit) rarely managed to achieve. It’s also sold in millions, because people buy it as a media device. The iPad is going to do the same thing with “computers”. The current situation is that people are buying what are really workstation-class machines for the most mundane tasks partly because the applications to do what they want – Flash, Firefox, the games developed for desktop machines – all have system requirements and OS requirements vastly in excess of what is actually required to perform the tasks they want. Linux remains unfriendly to the user largely because no-one has the development resources to produce both the efficient hardware and the efficient software to sit on top of that whilst also providing a framework and guidelines for developers to adhere to. Android comes close, but Android is aimed at smartphones; it’ll take some time to evolve. 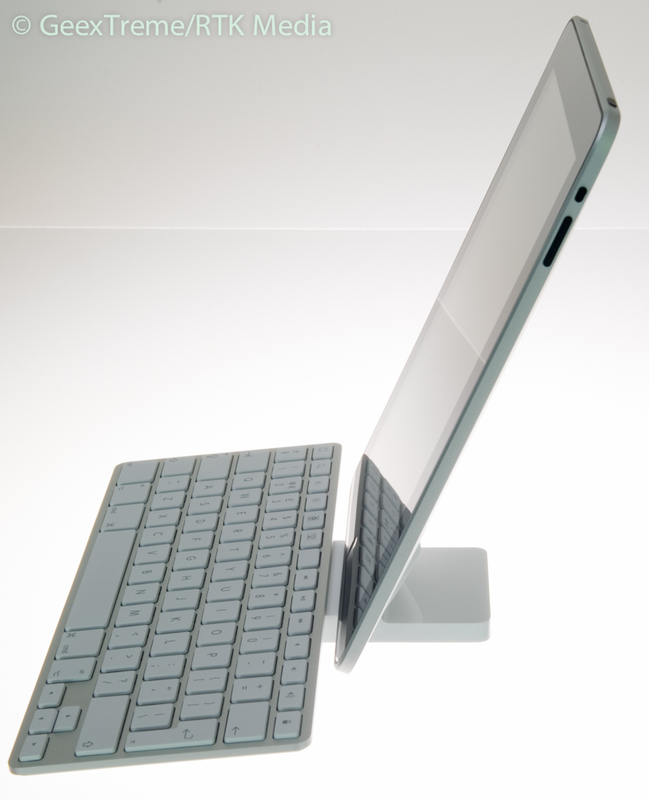 An iPad in a keyboard dock is already a lovely stripped-down computer; the post-modern architecturally designed office where the executive need only send out documents, read and prepare and use email and scheduling tools needs nothing more. The creatives still need their powerful computers, the developers, the accountants and the people who do the day-to-day hard work – but not the secretaries, not the admin staff, not the board members. They don’t need quad-core laptops or desktops. iOS and the ARM-based systems that support it are the best current alternative to “Big Computing”; whether or not the market will use that is another matter. At the very least, there’s a lot more to the iPad than “a big iPhone” – it’s a pointer to many of the flaws in which we currently consume computing in the wider marketplace. And if you think that an iOS iBook is something no-one would want – some people are so desperate for one they’ve made their own! ← Archos 9 – UMPC, Tablet PC or PMP?